Galapagos has a long and unhappy history of poaching. 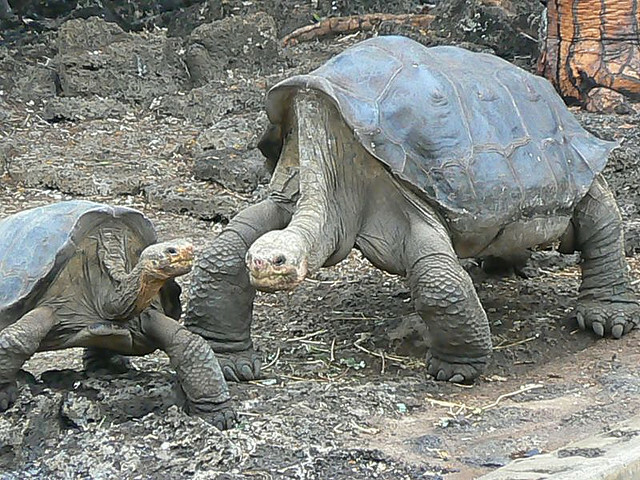 The most notorious poachers were the pirates who decimated the giant endemic tortoise populations throughout many of the islands, particularly on Pinta where the celebrity Lonesome George was the last of his species to survive. Equally harmful in today's world are shark finners. Shark fins are eaten as a delicacy in many parts of the world and the tactic of finning sharks is tragic. The poachers cut the fins off a shark and drop it back in the water where, because it cannot swim and is bleeding, it dies. As an aside, it's interesting to know that we have about 29 shark species, many of which are threatened, in the waters throughout the archipelago. It's been estimated that 80% of the sharks fins used throughout Ecuador come from Galapagos. It's even been estimated that at least 5000 sharks were killed in the GMR between 1997 and 2007. According to the Galapagos Conservancy, tuna and marlins also are being illegally fished. The fishermen use a technique called long lining, even though the practice has been banned. 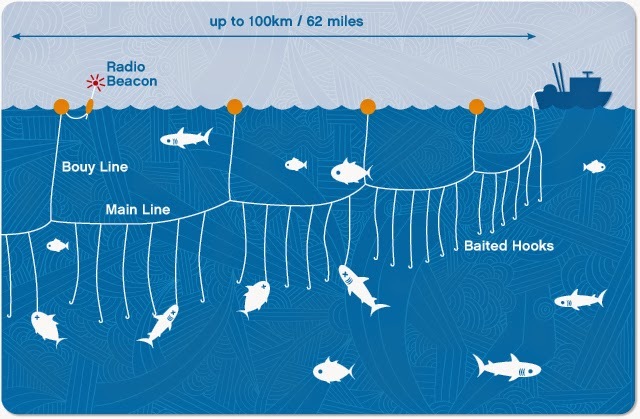 The Conservancy describes long lining as referring to "the use of long monofilement fishing lines that can extend for miles, which have additional secondary lines and baited hooks extending down about 15-50 feet at regular intervals." 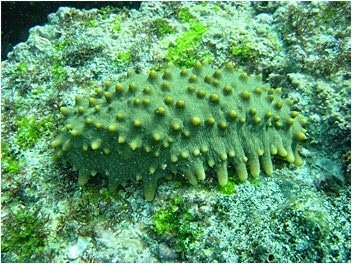 The sea cucumber population already has been illegally overfished and is seriously in danger. And these examples are just some of the most blatant. Fortunately, the Galapagos Government and Navy, Park and Marine Service, Galapagos Conservancy and others are determined to end these illegal activities completely. There is but one way to end the practice and that is to find the perpetrators in the act and to stop them. Of course, that work is time consuming and requires a considerable amount of manpower to cover a lot of territory and open sea. Until recently, just one airplane and several boats were dedicated to this patrol. Needless to say, because there are 133,000 square kilometers of open ocean, adequate monitoring has been nearly impossible and incredibly expensive. Spot checking was the best that could be accomplished. Now, though, robots are coming to the rescue. The Galapagos UAV Project Tean and National Park have partnered to develop a fleet of UAV's to patrol the reserve. They will be able to transmit real-time images to a ground station, thereby reducing the man power needed and increasing the areas of coverage. The best way to explain this is to go to the source. So, please look at this video which explains it all. 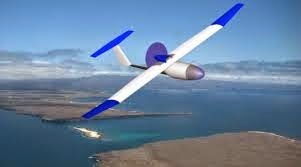 For more information, you might also be interested in this article from the company responsible for building the UAV.